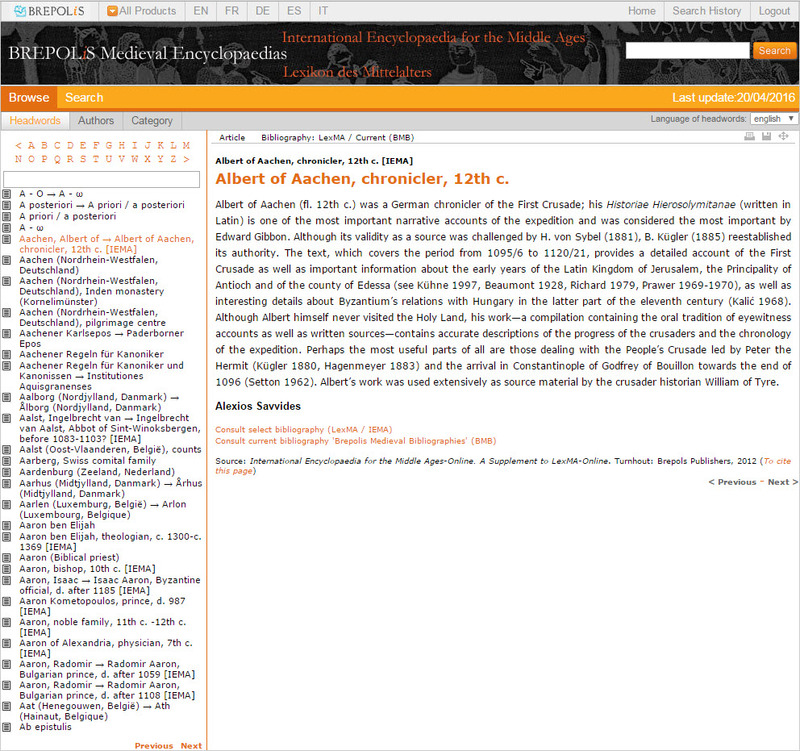 The International Encyclopaedia for the Middle Ages (IEMA) – A Supplement to Lexikon des Mittelalters is produced under the joint auspices of the Center for Medieval and Renaissance Studies at UCLA and Brepols Publishers. Its Editorial Board comprises scholars from universities in Europe (Hamburg, Oxford, Leeds, Poitiers and Budapest) and the United States (UCLA, Yale and Columbia). The purpose of IEMA is to supplement the Lexikon des Mittelalters with newly-written commissioned articles, fully peer-reviewed as well as with articles from reference books. Can be found here (PDF).